Having an appropriate sports shoe determines your level of performance. Rebounce from liberty is more than a shoe, it is the companion who will motivate you, give you a pump at each step and make you achieve excellence. Having an appropriate sports shoe determines your level of performance. 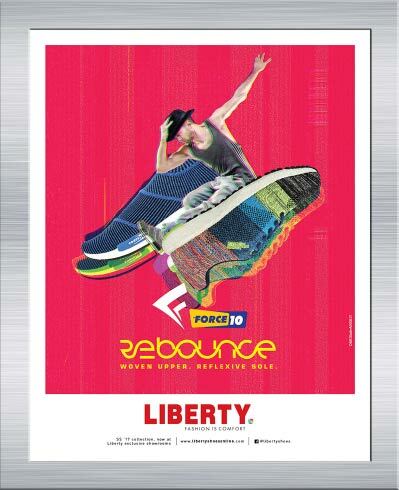 Rebounce from liberty is more than a shoe, it is the companion who will motivate you, give you a pump at each step and make you achieve excellence. 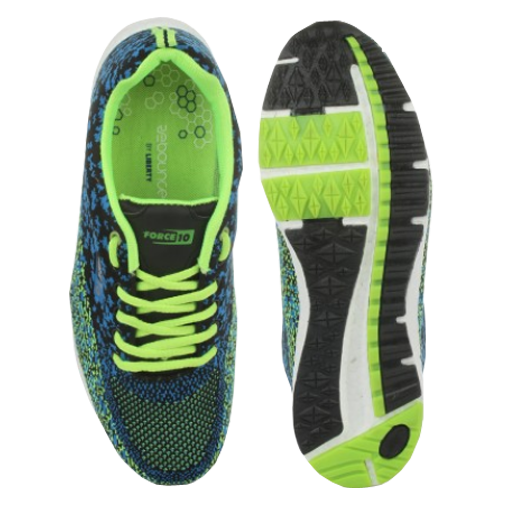 There is plenty of cushioning provided in the shoe for comfort, support & protection against shock, making it a great shoe to wear on different activities. It has Special E-TPU(Expanded Thermoplastic Poly-Urethane) material in it which naturally expands with your feet & gives absolute comfort even after hours of walking. It regains its original Shape even under Extreme Conditions of Temperature. Its technology is such that the shoe Rebounces about 70% of the compression with every step. Apart from all these features, 30% EVA is mixed in the material which makes it lighter in weight which is very important for a shoe in the sports category.